Pakistan's ties with US, Saudi Arabia and China, and its role as facilitator of Afghan peace talks will be roadblocks for India, say experts. New Delhi: In the wake of the dastardly Pulwama attack that has pushed the country towards seeking retribution, India has vowed to isolate Pakistan diplomatically. But this will be easier said than done. India will find it difficult to figure out a strategy to isolate Pakistan as Islamabad plays an important strategic role for Washington, Riyadh as well as Beijing that are also key to New Delhi. While this is not the first time that India under Prime Minister Narendra Modi has spoken about diplomatic isolation of Pakistan, it had been a daunting task for South Block, which houses the Ministry of External Affairs, earlier as well when such a move was planned after the attack on an Army base in Uri in September 2016. 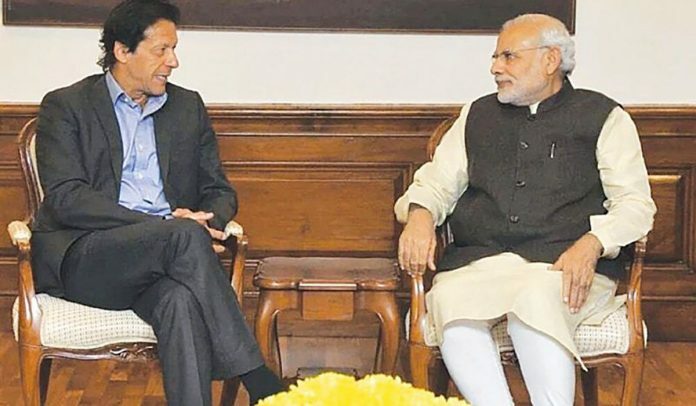 Diplomatic sources told ThePrint that at a time when US is looking at Pakistan for its endgame in Afghanistan, it will be “quite a challenging task” for the Modi government to persuade countries, especially the US, in detaching all their strategic as well as business ties with Pakistan now that it has donned the hat of a facilitator forging peace between Taliban and the White House. India took the decision of “complete diplomatic isolation” of Pakistan after the meeting of the Cabinet Committee on Security (CCS) Friday that was chaired by Modi. The meeting was convened a day after a suicide bomber of Pakistan-based Jaish-e-Mohammed attacked a convoy of CRPF personnel in the Pulwama district of Kashmir killing 40 and injuring over 70. “This is a challenging task in every way. Isolation can be tried to some extent but if you think this will bring Pakistan down on its knees, then that is not going to happen,” said Sharat Sabharwal, former Indian High Commissioner to Pakistan. Meanwhile, National Security Advisor Ajit Doval received a call Saturday morning from his American counterpart John Bolton. Bolton told Doval that the US supports India’s right to self-defence against cross-border terrorism even as it offered all assistance to bring the perpetrators and backers of the attack promptly to justice. Both NSAs also vowed to work together to ensure that Pakistan ceases to be a safe haven for JeM and terrorist groups that target India, the US and others in the region, the MEA said in a statement issued after the phone-call. “Before long, Pakistan is going to emerge the frontline state once again in Afghanistan. The big powers will be firing off its shoulders,” said Lt Gen Syed Ata Hasnain (Retd), former GOC, 15 corps, Kashmir. “We have to get the world much more focused on the fact that Pakistan is the key to the problem of international terror and its strategy of appearing the peacemaker in Afghanistan and the villain in Kashmir is not going to help the international community rid the world off the scourge of terror,” said Hasnain. With the upcoming visit of Saudi Crown Prince Mohammed bin Salman bin Abdulaziz Al Saud, India is also planning to coax Riyadh to get a commitment from Pakistan that it will eliminate all terrorists and terror organisations from its country. The Crown Prince, who is also vice president of the council of ministers and defence minister of Saudi Arabia, is visiting India on 19-20 February. “This isn’t the first time New Delhi has vowed to isolate Pakistan diplomatically, and it likely won’t be the last. But the reality is that any attempt by India to cut Pakistan off from the world is bound to run into problems, if not fail altogether,” said Michael Kugelman, a South Asia analyst at the Washington-based Wilson Centre. “For all the tough talk that is likely to emerge from Washington, the Americans aren’t about to join an isolate-Pakistan campaign at a moment when US officials are more determined than ever to get Islamabad’s cooperation to launch peace talks in Afghanistan,” said Kugelman. The CCS has also decided to make an all-out effort through diplomatic means for the adoption of the decade-old UN Comprehensive Convention on International Terrorism (CCIT). This UN treaty that is aimed at fighting international terrorism has been stuck for over two decades due to resistance from the US and other countries over the definition of terrorism, especially state-sponsored terrorism. “The dynamics of the treaty is not going to change at all now. The definition of terrorism there cannot be changed now as it will require consensus from all countries,” Sabharwal added. Citing the dastardly attacks, India is planning to urge the UN Security Council to list JeM chief Masood Azhar as a global terrorist at the 1267 Sanctions Committee of the UN — an effort that has been blocked by China thrice, despite a US ban on JeM. Sources said India is unable to make a robust case at the UN committee because of lack of proof and circumstantial evidence of the role played by Azhar behind such attacks by India’s intelligence agencies such as the Intelligence Bureau and Research and Analysis Wing. China’s argument is that Azhar, despite being the founder of the body, has not been directly involved in the day-to-day activities of the terror organisation and neither has he been seen celebrating attacks publicly. Besides, the Chinese feel such a step is against Pakistan as a country. “But India has to keep the UN channel alive no matter what. India can make a case that this is against a particular individual and not against a country,” an Indian official who is involved in the talks said on condition of anonymity. “After all, Azhar is hiding in Pakistan, that cannot be denied,” added the Indian official. India sees this is an opportune moment to take action at the UN-level, now that the Secretary General’s office has condemned the attacks. UN had not been commenting on the situation in Kashmir for a long time. India is also preparing to up the ante in an unprecedented manner at the International Financial Task Force (FATF) which is scheduled to meet in Paris from 17 to 22 February. The European Commission is expected to put Pakistan in the black list at the meeting for its failure to curb terror financial and black money. On the other hand, the International Court of Justice (ICJ) will be hearing the Kulbhushan Jadhav case on 18 February. To be perfectly honest, we are looking more isolated than we have ever been. Not just on Afghanistan.